With only a little over two weeks left before the much-hyped nuptials of Prince William and Kate Middleton, the push is on to get as much mileage as possible out of the seemingly insatiable appetite for royal wedding memorabilia. With only a little over two weeks left before the much-hyped nuptials of Prince William and Kate Middleton, the push is on to cash in on the seemingly insatiable appetite for royal wedding memorabilia. 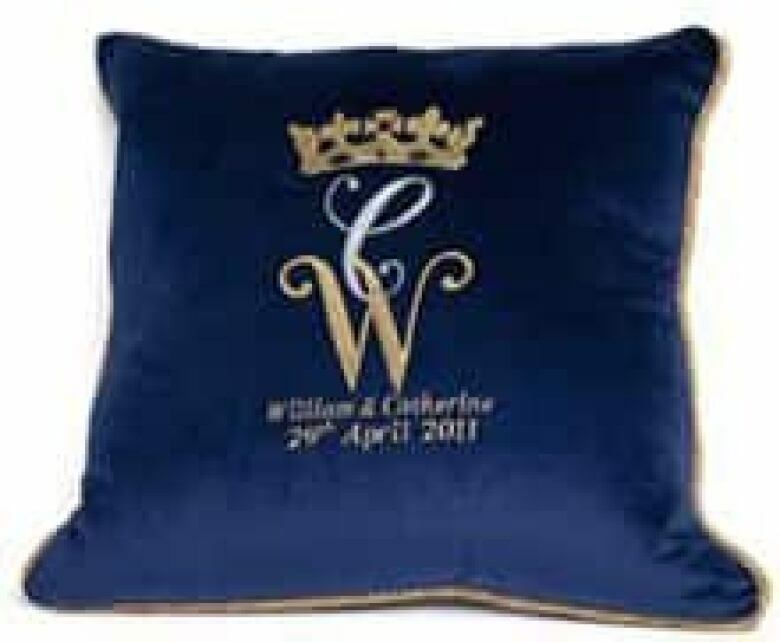 Even the royal household's official purveyor of wedding merchandise and some of Prince William's family members are getting in on the action. The Royal Collection, an administrative body that oversees the Royal Family's art collection and sells palace-sanctioned products like William and Kate's commemorative wedding china, will be releasing a Royal App for Apple and Android cellphones on April 18. The smartphone application will sell for £1.79 ($2.80) and be available in eight languages. Through a series of articles and photo galleries, it will take users through "seven royal nuptials, from Queen Victoria and Prince Albert in 1840 to the Prince of Wales and the Duchess of Cornwall in 2005." It will join a host of other paid and free royal wedding apps, ranging from the practical — such as the Royal Wedding Essential Guide, complete with maps, schedules and other tools — to the silly, a digital paper doll game of sorts called Dress the Royals, for example. And while critics might cluck at the tackiness of it all, it seems the royals themselves are not opposed to commodifying the happy event. Prince Charles is selling a £29.95 ($47) Catherine and William Engagement Jigsaw puzzle, as well as Will and Kate-themed cushions, champagne flutes and chocolate, at his Highgrove Shop, which raises money for the Prince's Charities Foundation. Charles Spencer, Prince William's uncle and brother of the late Princess Diana, meanwhile, has teamed up with Mandarin Oriental Hyde Park hotel to offer royal wedding tours of his London home, Spencer House, and the family estate where Diana is buried, Althorp. For a paltry £11,300 ($17,687) per person, visitors who purchase the six-day package will also get a tour of Chartwell, Sir Winston Churchill's family home in Kent, and have dinner at the London townhouse of an unnamed "member of the royal family" the night before the wedding. It's not the first time that the earl has been seen to be cashing in on his family ties. After Diana's death, Spencer was heavily criticized for opening a Diana mausoleum and museum at Althorp. A spokesperson for the earl has said the money raised from the tour will go to local charities and estate upkeep. Real estate watchers estimate Londoners will make £100 million ($1.56 million) in rental income over the April 29 royal wedding weekend. With one million people expected to travel to central London for the event and only about 120,000 hotel rooms in the city, it's no wonder that a quarter of the city's residents are reportedly considering renting out their homes to wedding watchers. Sites like Londonrentmyhouse.com, Findaproperty.com, Crashpadder.com, HomeAway.co.uk and Gumtree.com are all advertising royal wedding rentals and offering tips to Londoners about how to make their flats attractive to overseas visitors. British media are reporting that flats are renting anywhere from $60 a night to $6,000 a week in prime locations, such as those with balconies that offer views of the wedding procession route. Transport for London, the city's transit agency, is issuing a special commemorative travel card, emblazoned with the image of William and Kate's engagement that will go on sale eight days before the wedding. The Oyster card, as it's known, is a smart card that can be loaded with credit. Travellers will have to pay a £5 ($7.80) deposit and load it up with at least that much money. Media have speculated that if people keep the cards and don't redeem their deposit, the agency could make a profit of $6 million to $12 million. A similar travel card was issued for the 1981 wedding of Charles and Diana. Although there are plenty of William and Kate mugs, cups and plates being sold around the world, there is only one official Royal Family-sanctioned range of china. It doesn't come emblazoned with images of the couple, only their names, initials and wedding date. 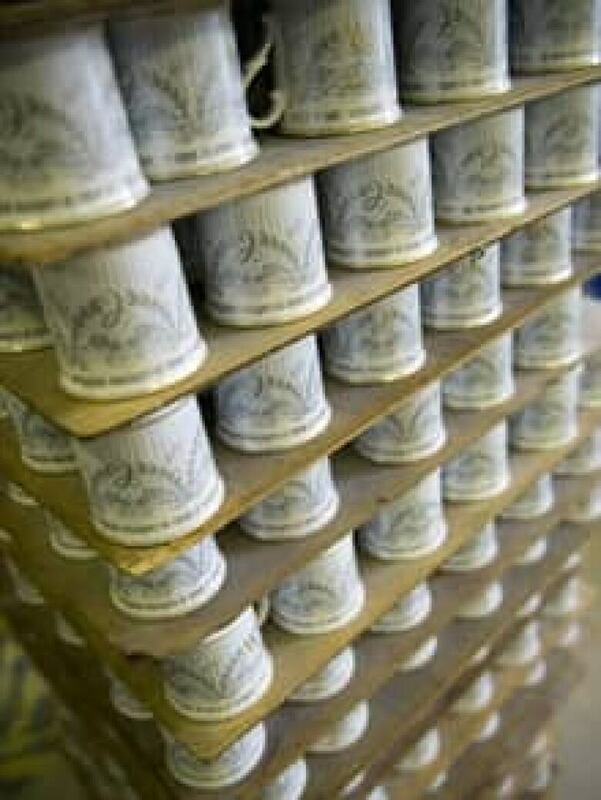 The factory in Stoke-on-Trent charged with making the bone china had reportedly sold 70,000 pieces as of the end of March. The collection includes a plate, a mug, a pill box and a £125 ($195) two-handled Loving Cup made in a limited edition of 1,000. The Royal Mint has issued a royal wedding commemorative coin, with images of the couple's faces on one side and the Queen's on the other. It will produce 250,000 of the coins. The Canadian Mint has its own set of commemorative coins for the occasion that it will start selling May 2. One has a colour image of the couple and another has a blue crystal embedded in it, a nod to Kate' s sapphire engagement ring. The Royal Mail has created two commemorative stamps for the wedding that went on sale online April 7 and will officially be issued in the U.K. on April 21, the Queen's birthday. The Commonwealth Pacific island nation of Niue caused a fuss when it issued its own commemorative stamps but sold them as a set of two with a perforation down the middle that effectively split the couple up, which some took to be a bad omen for the marriage. By now, most people have heard about the royal wedding sick bag and Crown Jewels condoms, but there is also William and Kate in Bed, 2011, a photo by British artist Alison Jackson in which Will and Kate look-alikes are shown scantily clad lying in bed in what looks like a candid shot taken in their bedroom. The fake photo is part of an exhibit of works with an irreverent take on the royals called The Royal Family, on at London's Hayward Gallery Project Space until May 2. No More Waity, Katie nail polish — Made by Butter London, the shade of this commemorative nail colour is greige, a mix of gray, beige and lilac glitter, and its name alludes to the rumour that Kate had been waiting for some time for William to pop the question. It sells for $17. William and Kate Dress-up Dolly Book — A classic cut-out paper doll set, with outfits for everything from a weekend in the country to the wedding day. Royal Wedding for Dummies — Surely, this proves that there is no subject that this ubiquitous publishing franchise doesn't cover. The book, available as paperback or ebook, includes royal trivia, etiquette and history; British recipes; tips for getting around London; and "a guide to planning and holding a street party." Recycled-stamp portrait of William and Kate — Peter Mason, a 66-year-old British retired art teacher, used more than 3,000 recycled postage stamps of Queen Elizabeth to make his roughly 90 cm by 120 cm pixilated portrait. Wedding podcast — A recording of William and Kate's vows and the other parts of the Westminster Abbey service are to be sold on iTunes within hours of the ceremony by the classical record label Decca, which also recorded Charles and Diana's wedding and Diana's funeral. The label also plans to sell the recording on CD, vinyl and even cassette. Mobile apps — Aside from the practical and time-wasting cellphone apps mentioned above, there are also many customized options created by media outlets such as NBC and Hello! magazine that aggregate wedding news and feature content. See the Telegraph newspaper's list of the 10 best royal wedding apps for a selection of what's out there.